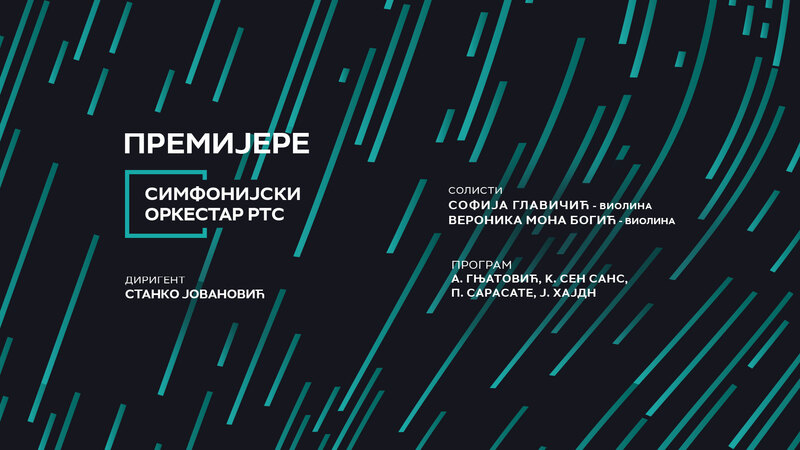 The work of composer Ana Gnjatovic, “The Game of Life”, a composition inspired by John Conway’s homonymous self-organising mathematical system, will be premiered within the “Premieres” cycle of the RTS Symphony Orchestra, on 22 November, in the Concert Hall of Kolarac Endowment, at 20:00. At the concert, two young artists, violinists, winners of numerous awards at eminent national and international competitions will be also presented to the audience. We will listen to Sofija Glavicic, as a soloist in the admirable work “Introduction and Rondo Capriccioso” for violin and orchestra by Camille Saint-Saëns, while Veronika Mona Bogic will perform courageous “Carmen Fantasy” by Pablo de Sarasate. Besides these works, at the concert will be performed “Symphony no. 101″ by Joseph Haydn, known as ” The Clock “.